The children absolutely love collectibles – those small, pocket money priced toys that you can start a collection of quickly, without it costing the earth. When I was told about a brand new car collectible, Micro Motorz, and offered to be sent some for the children, I knew they would love the fun designs and the fact that the miniature cars are able to race down a track. The cars come in blind bags, providing the added excitement of not knowing which vehicle you are going to open. The kids really enjoyed the fact that you open one section at a time, the first chamber revealing a tool that works with you car and a leaflet about the collection. The second chamber has a tuning accessory such as a spoiler or engine and the third and final chamber hosts the vehicle itself, housed in a display capsule, which can click together with other cars from the collection. The capsule also doubles up as a launcher for the car. The children loved opening up their Micro Motorz and racing them against each other. There are 20 different vehicles to collect in the first series including six ‘Speed Demonz’, with interchangeable spoilers, six highly charged ‘Nitro Chargerz’ and six ‘Hot Rodz’ . For each of these designs, there are three regular and three rare versions to collect. The ultra-rare ‘Monster Treadz’ are monster trucks with gold engines. I was impressed with the Micro Motorz as, unlike some collectibles, they have been played with several times since being opened, and can be played with together to race. The children will be looking out for more packs to add to their collection, I’m sure. 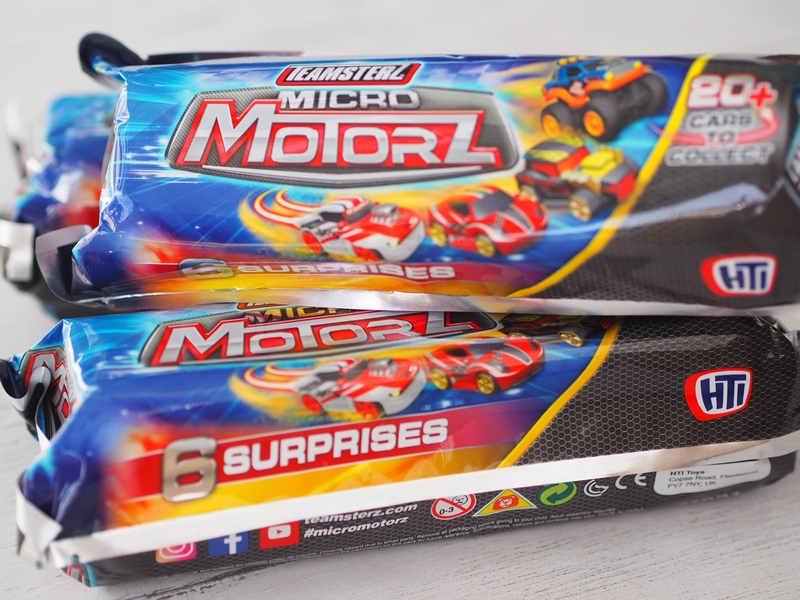 The Micro Motorz are available from supermarkets and toy stores, priced at £4.99. We were sent several of the Micro Motorz for the purpose of this post, however all opinions and images are my own.